Join us in January 11 through 20 Coal Export Resistance Solidarity Actions in Missoula, Moscow, Pullman, Sandpoint, Spokane, and across the Northwest! Please instigate protests in your area, encourage similar revolt among your friends by regionally sharing these links, post your action announcements, photos, and reports at the facebook event, and send your multi-media demonstration results to the regulatory agencies and coal corporations. Northwesterners do not want to study potential coal export impacts; we want to stop them before they start! Another solidarity action has emerged in eastern Washington! 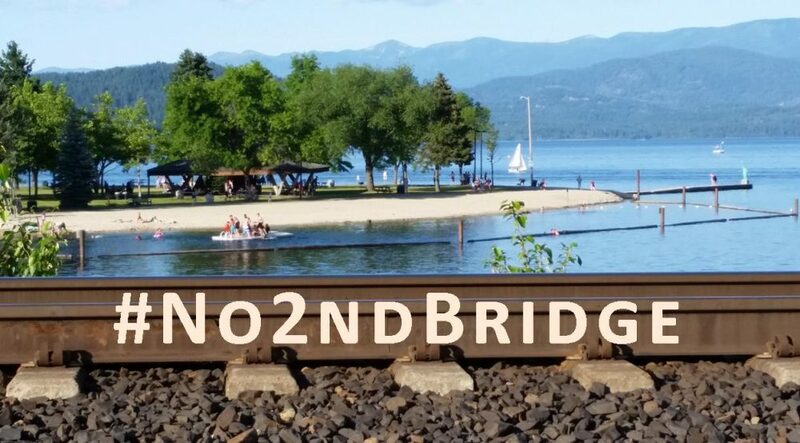 Wild Idaho Rising Tide (WIRT) and Pullman community activists will display the coal export opposing people’s train of cardboard “rail cars” near the train tracks on North Grand Avenue on Friday evening. Participants will motivate and mobilize more citizen input toward public comment and demonstration opportunities by circulating Northwest coal issue information and connections. An anti-fracking campaign manager with the progressive telephone service provider Credo contacted WIRT over the holidays, offering us assistance and opportunities to cooperatively mobilize Credo’s three million members to take action against fracking in Idaho communities by signing petitions, submitting public comments, making phone calls, attending public hearings, and participating in anti-fracking events. We have been discussing strategies and possible tactics by phone and linking Credo with our southern Idaho colleagues, Alma Hasse and Tina Fisher of fracking ground-zero Payette County. Together, we have been providing insights informing a potential online Credo petition calling for an outright ban on fracking or a moratorium pending further research, targeting Idaho legislators and/or state agency regulators and/or the elected officials of the Oil and Gas Conservation Commission. Because the 2013 Idaho legislative session will negotiate some of the last legal hurdles for oil and gas companies recently completing seismic testing and gas field exploration, before they effectively frack the shallow groundwater that supports one of Idaho’s richest agricultural regions, we are also suggesting 2013 bill possibilities while seeking legislator support of anti-fracking measures. When these good-faith endeavors predictably fail, we will utilize direct actions, local ordinances and lawsuits, and community bills of rights and/or a statewide ballot initiative to push back. We appreciate working with Credo to stop first fracking in Idaho before it starts. Please see the following three examples of statewide online petitions that Credo has sent by email to its members in other locations. Tell Governor Brown: Ban Fracking Now. Tell Governor Scott: Don’t Frack Florida.